Skip the Drive Through of Shame. 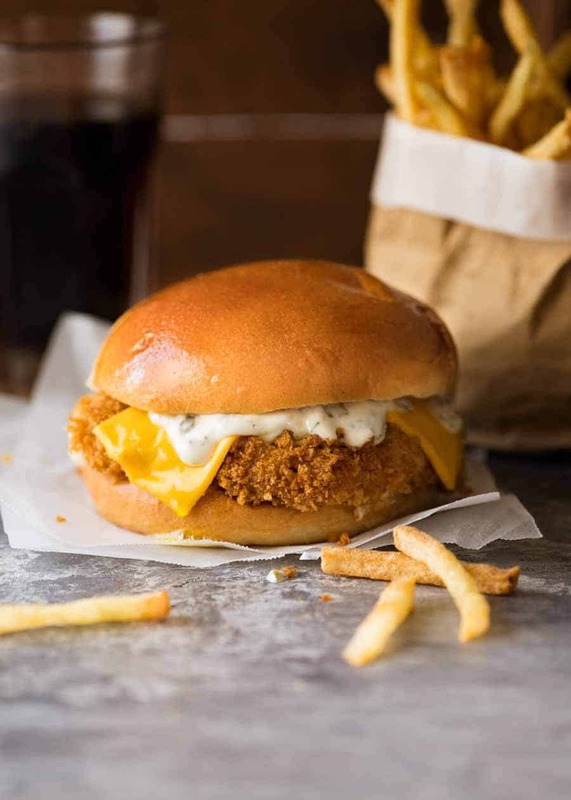 It’s incredibly quick and easy to make Filet-O-Fish at home, and you don’t even need to fry! Plus, you can make bigger ones at home. Ever notice how small the Maccers Filet-O-Fish are? Those teeny burgers barely scrape the bottom of my stomach. At least we can make proper meal-size Filet-O-Fish burgers at home! I’ve been making faux oven-fried things most of my adult life, and for most of that time was disappointed by how the crumb came out all splotchy with white & burnt bits no matter how brutally I doused with oil spray. 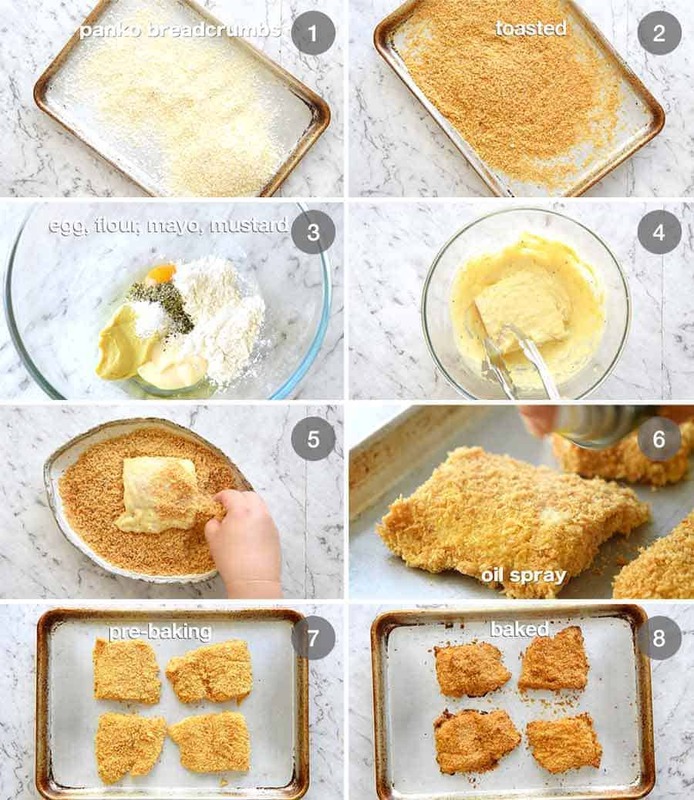 I just recently shared a baked crumbed Chicken Tenders recipe using this same method where I wrote more about the logic so if you’re so inclined, pop over there for a read. It’s all driven by love of fried food vs waist and bottom expansion. The bonus is clean hands – no marshmallow fingers! Yes, your fish will come out warped. They won’t be perfectly square and flat, like the boxed ones in the frozen section of the supermarket. We’re using fresh fish here, so warpage is the price we pay for true fish flavour and texture. I’m totally cool with that! A quick inspection of the Filet-O-Fish ingredients followed by a taste test (yes, I did the Drive Through of Shame for this recipe!) 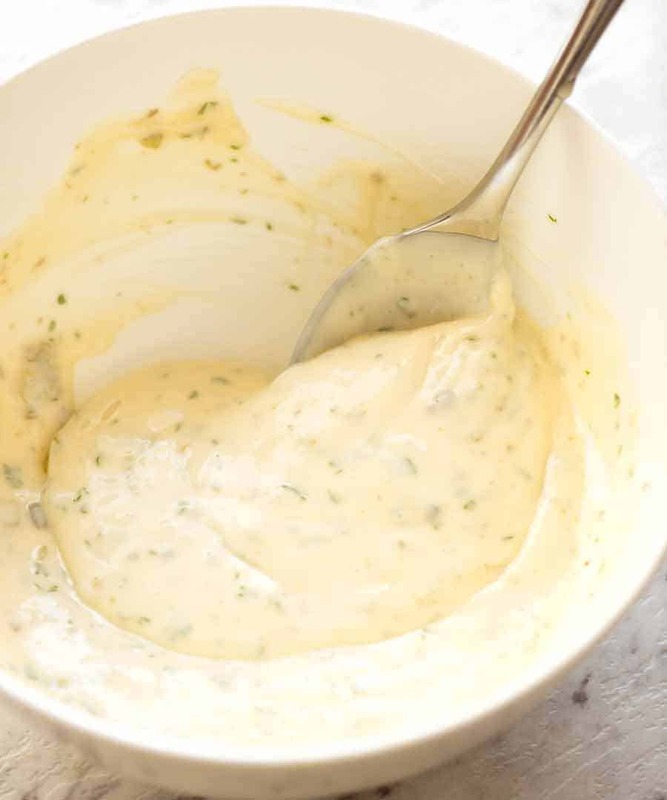 is all it took to ascertain that the Tartare Sauce is pretty standard. Mayo, pickles / gherkins, capers, lemon juice, salt, sugar, parsley. It’s just my basic Tartare Sauce recipe, minus dill plus a touch extra sugar (surprise, surprise 😂). 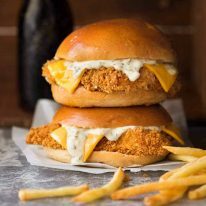 I make my homemade Filet-O-Fish burger using brioche buns because they are the closest to the super soft, super sweet buns used by McDonald’s. Though…. not as sweet and not quite as soft… but close enough! And as for the cheese, in the spirit of copy-catting, I used this smoked processed cheese that I found at Coles (Aussie supermarket) with the signature Maccers orange hue but strangely lacking in smoked flavour. 🤔 So it’s perfect! Recipe video above. Tastes remarkably similar to McDonald's with the added bonus that it's bigger, it's healthier and you know exactly what goes in it! 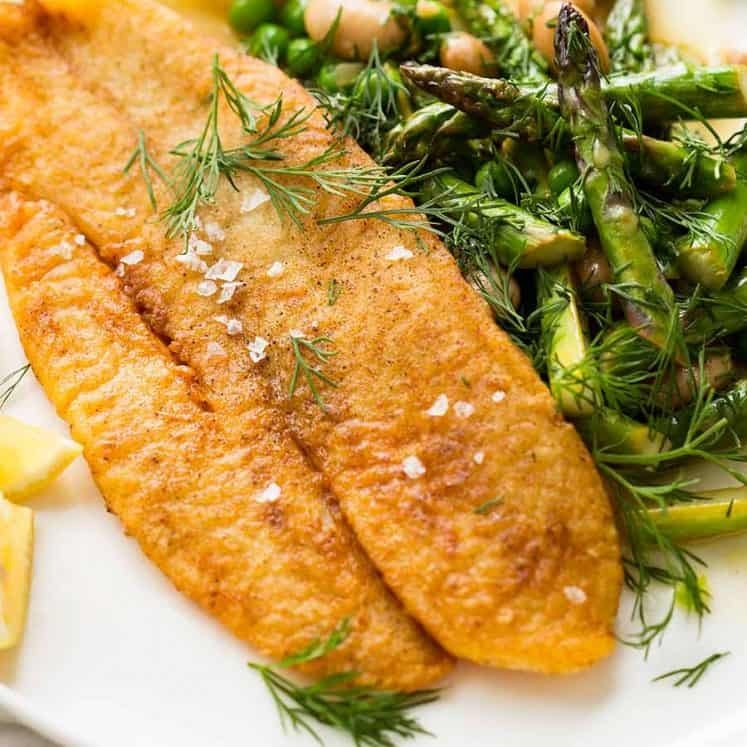 Toasting the breadcrumbs guarantees beautiful golden, truly crunchy fish fillets even though these are baked. 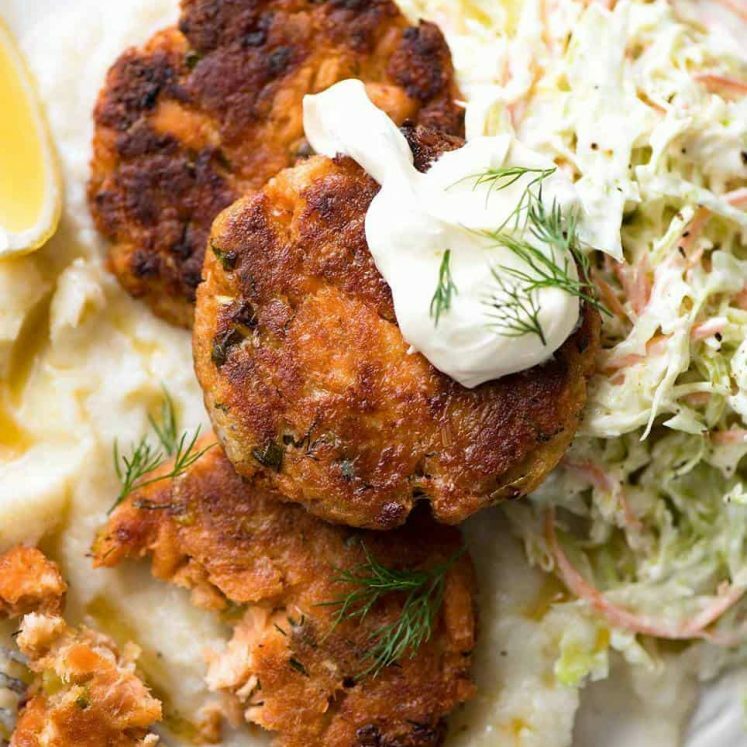 Fry option - follow the dredge / crumbing / fry steps in this Schnitzel recipe. Mix ingredients in a bowl. Set aside for 10 minutes+. Spread breadcrumbs on a tray. Spray with oil directly down, not from side. Bake for 3 - 5 minutes until golden. Immediately transfer to bowl. Brush tray clean, spray with oil. Cut fish fillets into square-ish shapes slightly larger than the buns (they shrink when cooked). Mix Batter ingredients in a bowl. Carefully coat fish in batter (handle with care, fish fillets can be delicate). Place in breadcrumbs. Use other hand to cover top and sides with breadcrumbs, pressing to adhere. Transfer to tray. Repeat with remaining fish. Bake 12 - 15 minutes until fish is cooked through. Immediately top with cheese - allow residual heat to make it semi melt (do not oven melt processed cheese, you get a plasticy film!). Cut buns in half, microwave for 20 seconds to warm through (microwave = stays soft). Top with fish and cheese, dollop with tartare sauce. Devour! 1. Panko are Japanese breadcrumbs which are larger than standard breadcrumbs. Nowadays they are available in all major supermarkets, usually in the Asian section, and cost just a fraction more than ordinary breadcrumbs. It is well worth using because the breadcrumb pieces are bigger so they create a far better "crunch" than standard breadcrumbs. I know 2 cups sounds like a lot but you need it. Also if you skimp on the breadcrumbs, crumbing the last fish gets messy! 2. 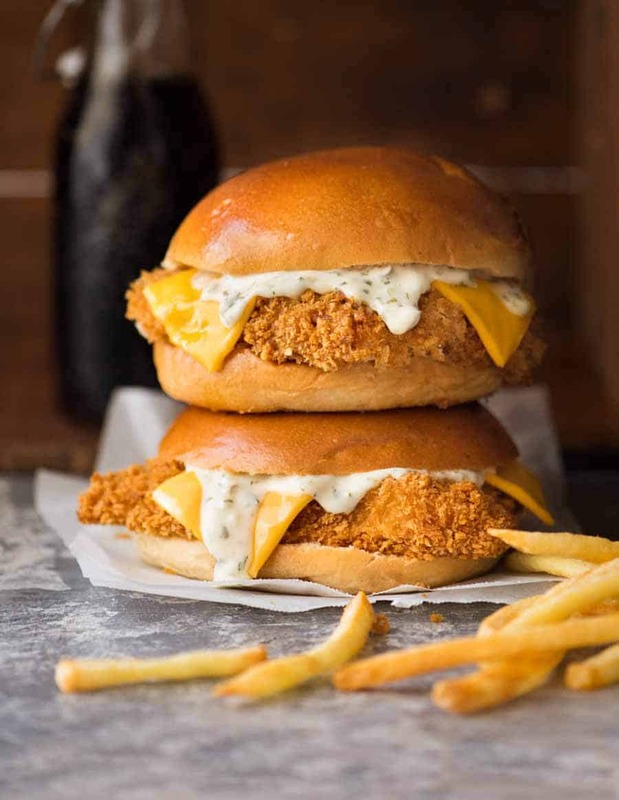 Fish -This recipe will work with any white fish fillets but the best to replicate the square, flat fish patties in Filet-O-Fish is to get flat, thin fish fillets that can be cut into square-ish pieces. I use Ling, Maccers uses Pollock. I don't get too hung up on perfect square shapes because the fish shape warps when it bakes because we're using real fish here. That's just real life, my friends! Note: the fish will shrink and increase in height once baked by about 20%. Crumb off cuts and pop them on the tray, good for nibbles. 4. Processed Cheese - just like Maccers! I used a smoked processed cheese from Coles (Aus supermarket, Coles brand) which is the orangey Maccers colour and doesn't even taste smoked. 5. Dredge Batter - created especially for "oven-fried" crumbed recipes, I use it for all my baked crumbed recipes like these Crunchy Chicken Tenders, though for this recipe the batter is slightly thinner because fish is more delicate than chicken. It's got more flavour than just using egg & flour as well as oil, compensating for not deep frying in oil (because let's face it, frying makes everything taste better). It's also thicker and a stronger glue for the breadcrumbs. * Tartare Sauce - Makes more tartare than probably required but it's a tragedy if there's no enough so I err on the side of caution. Keeps for ages in fridge. * More background about this toasting / unusual single Dredge Batter / oven-fried technique in this Crunchy Baked Chicken Tenders recipe. It's all driven by love of fried food / attempt to control waist expansion. 7. Nutrition per serving, assuming 1/2 cup of tartare sauce is used across all 4 burgers. 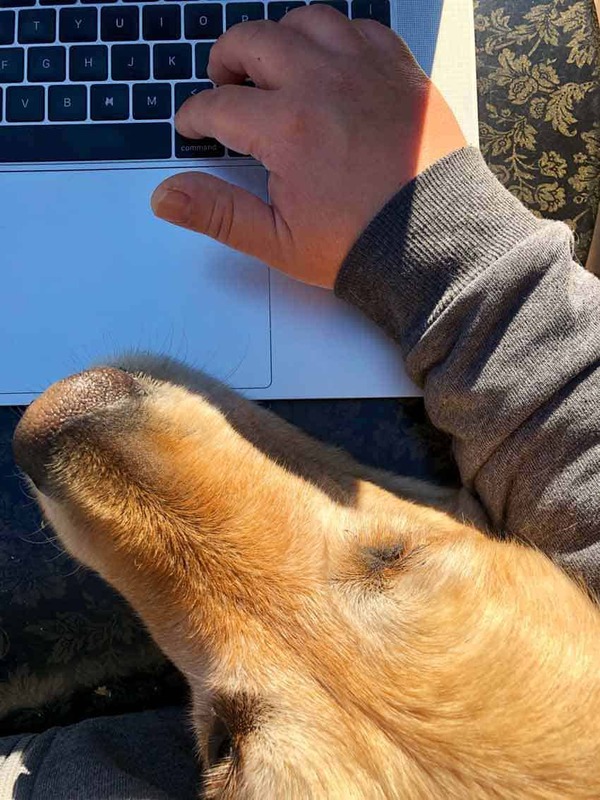 How am I supposed to work when this golden furry head keeps butting in to see what I’m doing?? OMG! This was SO good!!! 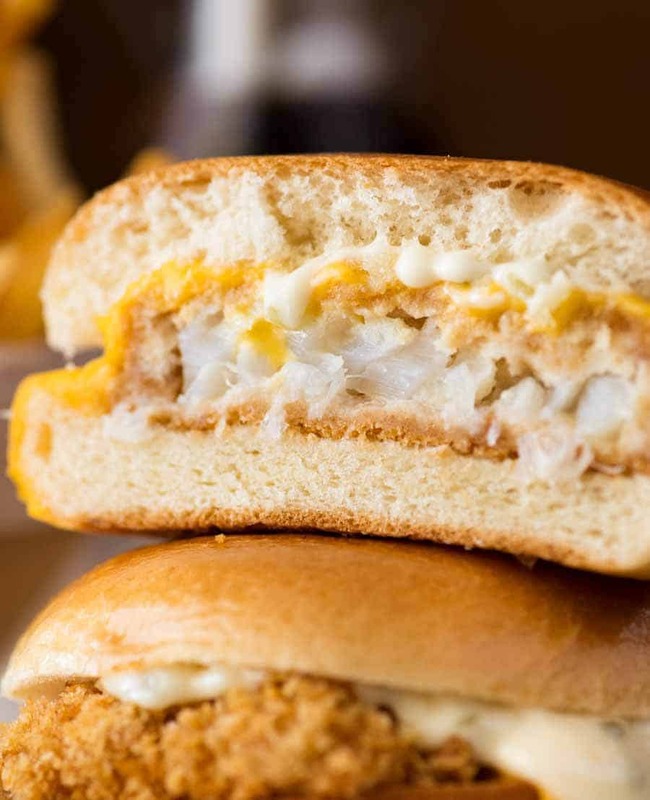 As a child, I would eat McD’s filet-o-fish all the time…can’t bring myself to eat at McD as an adult. 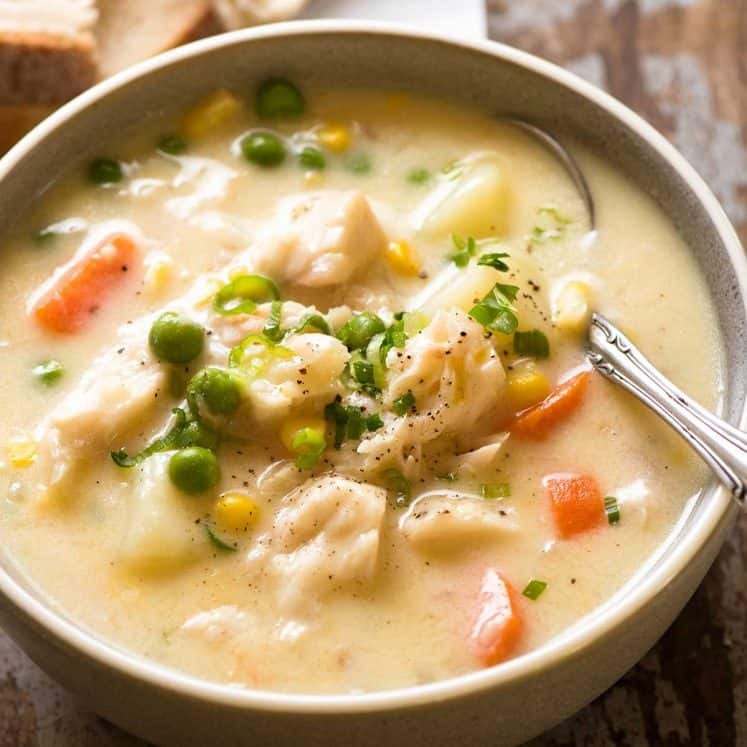 You hit all the flavors w/ this recipe! Thank you!!! Thanks so much for letting me know what you think Susan! I’m so glad you loved it Lucy! Woah that’s commitment! I’m so glad you loved it!